Weddings – 100% Live, Classic Soul Band. 'Dear Soul Miners, THANK YOU!! !...for bringing our Wedding Party to life with your explosively soulful performances! The atmosphere you created was ecstatic. We still have blisters on our feet from all the dancing. The standard of your musicianship is unrivaled. We couldn't have asked for more!!' - Mr & Mrs Mayor (former professional musician), Fairways Hotel, Porthcawl. Once the formalities of the day are over, nothing beats a good band to make a wedding party come alive - and a great soul band will take things to another level! We love performing at weddings, and having performed at hundreds of them at venues across the UK, we know how to help make a party special. Our clients often tell us how much we have helped make their party a memorable occasion - and that is what it is all about for us! We regularly receive referrals, re-bookings, and personal recommendations from our clients and other professionals working in the wedding entertainment industry. We believe that for an 8-piece band (9, including our sound engineer) our fees are reasonable and competitively priced. The costs involved in planning a wedding can be considerable and we are always mindful of this when providing a quotation. Our quotations are always all-inclusive. There are no additional costs, add-ons, or hidden charges. Soul music is timeless in its appeal and is the perfect genre to entertain a wedding party - from toddlers to Great Aunt Mary - we'll get them onto the dance floor! Every wedding is unique and we enjoy working with our clients to ensure we deliver exactly the right performance on their big day! 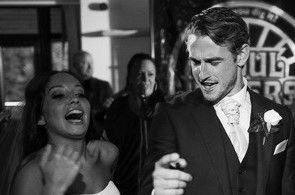 If you would like us to perform a song from our repertoire for your First Dance we would be delighted to do so. If the song is not one we currently perform we would be very happy to discuss this with you. 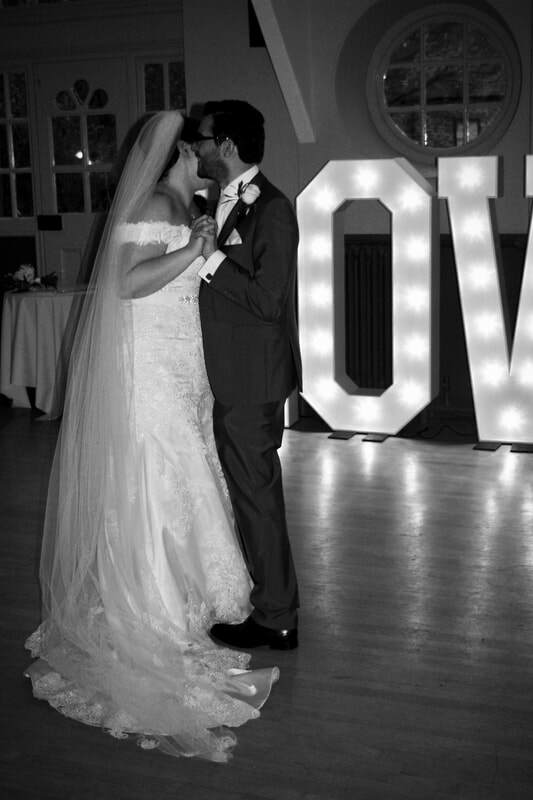 ​Also included in our fee - If you are not planning to hire a DJ to work alongside the band, we can provide disco and background music playlists throughout your reception when not performing, Our playlists cover a wide range of genres from the 60's to the present day and are guaranteed to get your guests dancing! We are happy to tailor our disco playlists to suit our clients requirements, and if you would like us to play your own music we would be very happy to do so. Many clients create their own playlists on their iPod’s or laptops, which we connect to our mixing desk. We would run the equipment, so you can relax and enjoy the party! – Vikki and Carwyn, Glen-yr-Afon Hotel, Usk, wedding. All our vocalists (one male, two females) sing lead vocals. They also perform backing vocals, duet, and sing in harmony, making our sets appeal to a very wide audience. We tailor our sets to suit our clients individual requirements. If you would like us to perform a song for your First Dance that is not included in our repertoire, we would be very happy to discuss this with you. Our line-up includes three vocalists, saxophone, guitar, keyboards, bass guitar, drums. We are a 100% live band and do not use backing tracks. We are fully self-contained and require no equipment support. We will provide our own PA, sound engineer, and lighting rig unless otherwise instructed. We can provide disco playlists throughout your reception. You are welcome to provide your own music playlists via an iPod/mp3 player etc., which we would connect to our mixing desk. Our quotations are all-inclusive, there are no additional costs or hidden charges. Contact us today for an all-inclusive quote. Premier Classic Soul Band for Weddings & function Entertainment in South Wales & South-West England.